Yesterday I returned home to my apartment in Denver after a weekend away. Sun splattered across the wood floor and my plants meandered their happy leaves toward the light. My dog plopped his furry body down on the couch with a dramatic sigh, contented to be home from the evil kennel at long last. The frizz in my hair fluttered beneath an autumn breeze that was neither cool nor warm. The place was just as I left it– bed unmade, windows open, coffee mug on the bathroom counter. The place was just as I left it and yet somehow everything was different. I spent my weekend away curled up next to my grandfather in his bed. He is the only grandparent I have had in over a decade, and the only grandparent I have ever felt connected to. This weekend, in a bed he cannot leave, we watched black and white western films, college football and Cubs baseball. We talked about books and our family. He told me stories about horseracing, his time in the Army and his travels around the world. They are stories I have heard before, and stories that I will never hear again. I would be lying if I said it was easy to sit with my grandpa this weekend. My heart became the pin cushion of a very busy tailor. At the core of my current emotional state is anticipatory grief. 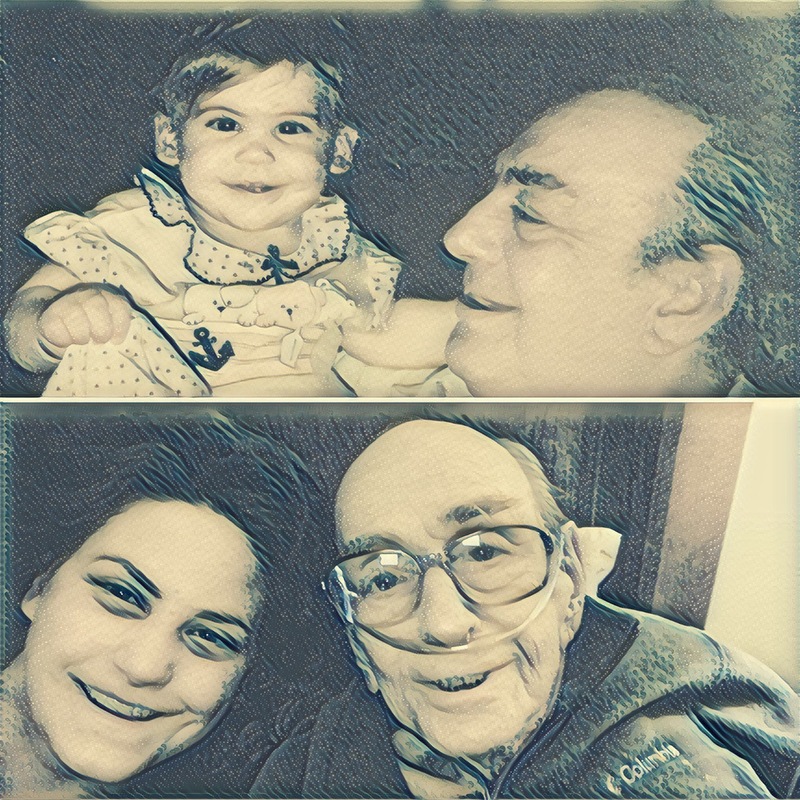 I will soon lose my grandpa, an individual whom I hold in high-esteem and love very much. There is also sadness for his suffering, for the multiple doses of liquid morphine he needs in order to change his position in bed. And there is fear and anxiety about my own death–how it will happen, when or where it will be, if I will feel like I have lived well when it arrives. There are no tangible answers at the end of a life. There are no answers for the dying, and all that remains for the living is sorrow, and tomorrow. Time marches on, oblivious and unrelenting in its continuation. And then, before we know it, we, too, are walking home, all alone on a dusty road, not knowing what to do or where to go, at the end of this long, strange trip. And between now and then, there are only a few big things to know. I’m so sorry to hear that you’ll lose your grandfather soon, but also thankful you had that kind of time with him this weekend. What a legacy his simple but wise words will be for you. You have honored him in a very powerful way by sharing his words, and I’ll bet he is incredibly proud of you. Sending you a virtual hug from Texas.